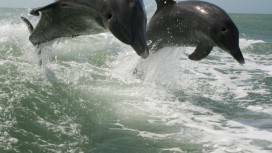 What if you could explore a vast mangrove forest, discover seashells while perusing a remote, tropical island, and see dolphins in their natural habitat, in one 3-hour tour? Unless you already reside in a tropical island paradise, chances are pretty slim. But here at Pure Florida’s Naples location, you can experience all of the above and then some! 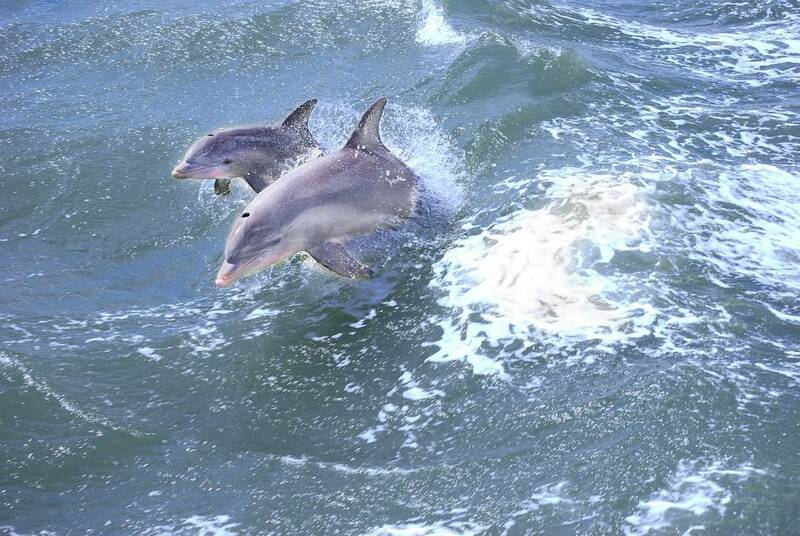 Our dolphin watch cruise (also known as our eco-tour) is perfect for the environmental enthusiast who enjoys a comfortable ride down the river, taking in all that nature has to offer, in its glorious beauty. There was a time when we used to call this trip “Shelling Tours”. 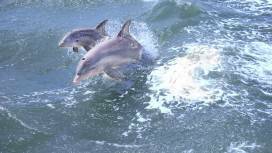 However, since we live next door to one of the world’s largest Mangrove Forests, we quickly learned that our guests are more interested in the entire eco-system here in Naples, especially dolphins! At Tin City the journey begins! Our journey begins aboard the M/V (merchant vessel) Naples Explorer at Tin City where we are stationed. Tin City started out as a hub for fishing, clamming, and shellfish in the 1920s. Today it’s a thriving marketplace where you’ll find over 30 unique shops, restaurants, and on-water entertainment. Once the captain has sounded the horn 4 times, it’s time to leave the dock. 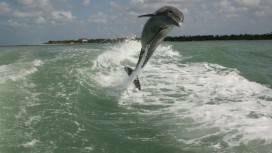 As we take a leisurely stroll down the Gordon River, past Crayton Cove, and through Naples Bay, you may be thinking to yourself “This is an eco-tour? !” That’s because the river is lined with yacht clubs and exclusive communities like Port Royal where million dollar mansions are the norm. 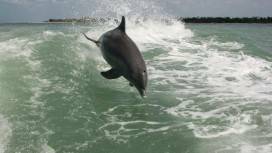 Even though it may seem like a tour of the rich and famous, there is still plenty of dolphin activity for your viewing pleasure. 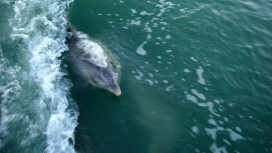 We can’t wait to see your reaction (especially a child’s reaction) when you see dolphins. 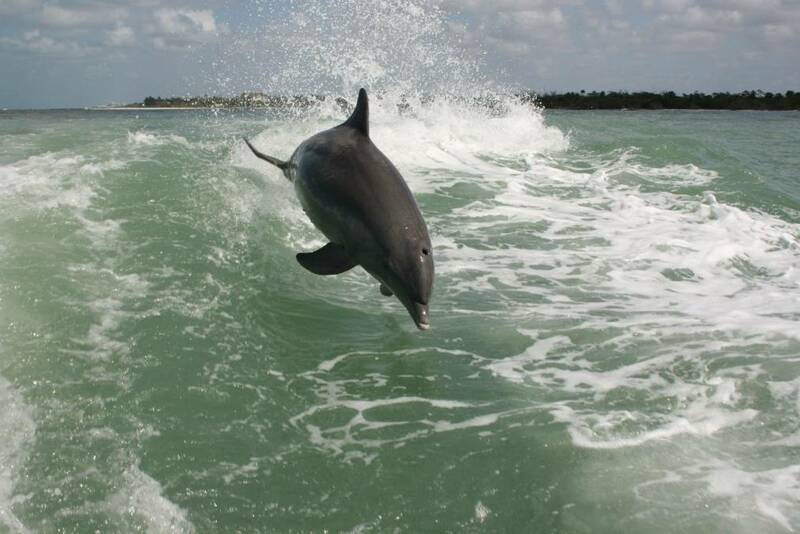 Bottlenose Dolphins are naturally playful and curious animals. 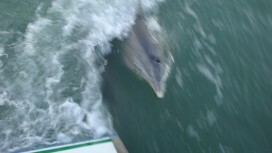 Often times, they’ll swim along side or behind our boat. 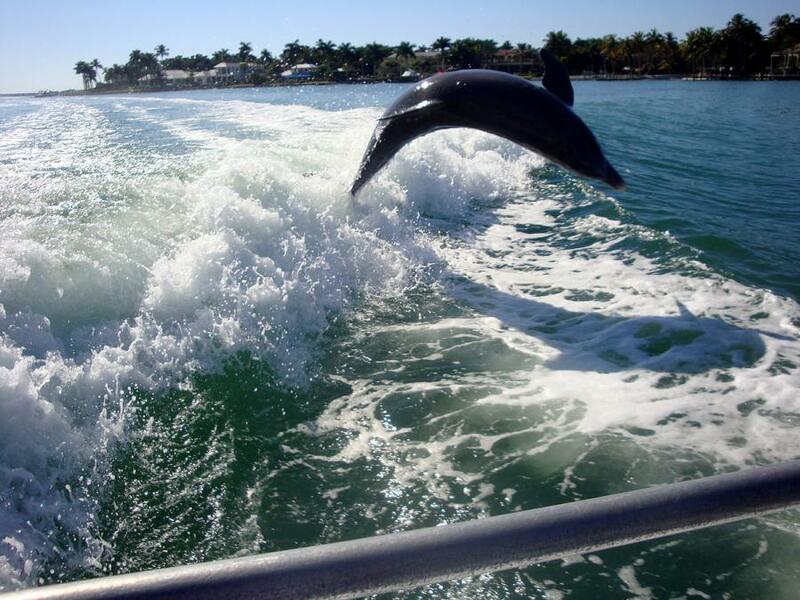 We have seen them countless times on our cruises, and it’s clear they enjoy our company too. 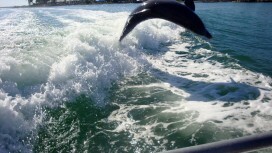 Sometimes they swim so close it’s almost as if you can reach out and touch them. Please don’t though. We don’t want to have to fish you out of the water! 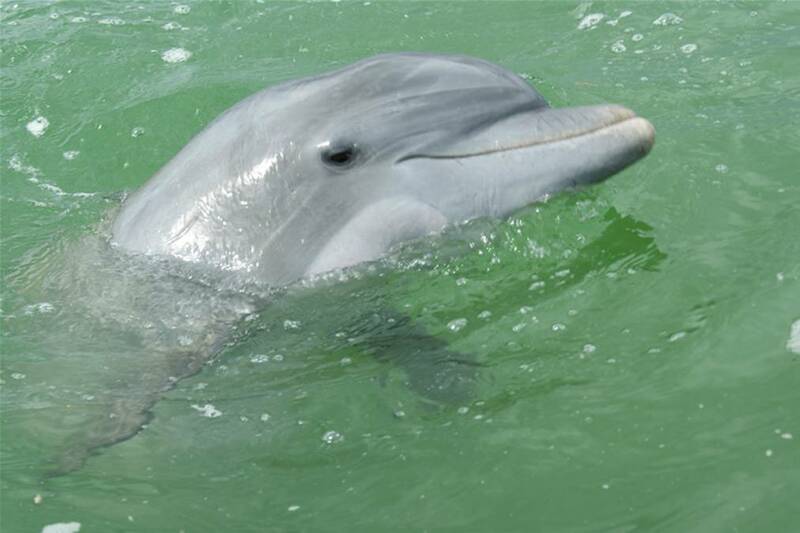 Bottlenose Dolphins thrive in fresh AND salt water, which means there is a great chance of seeing them because the Gordon River and Naples Bay are brackish which simply means a mixture of fresh & saltwater. 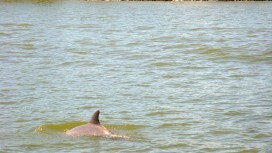 Fish are plentiful here (which is why we fish these waters too) and dolphins feed here regularly. 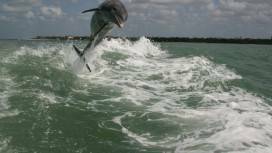 In fact, they will eat between 15 – 30 pounds of fish every day! 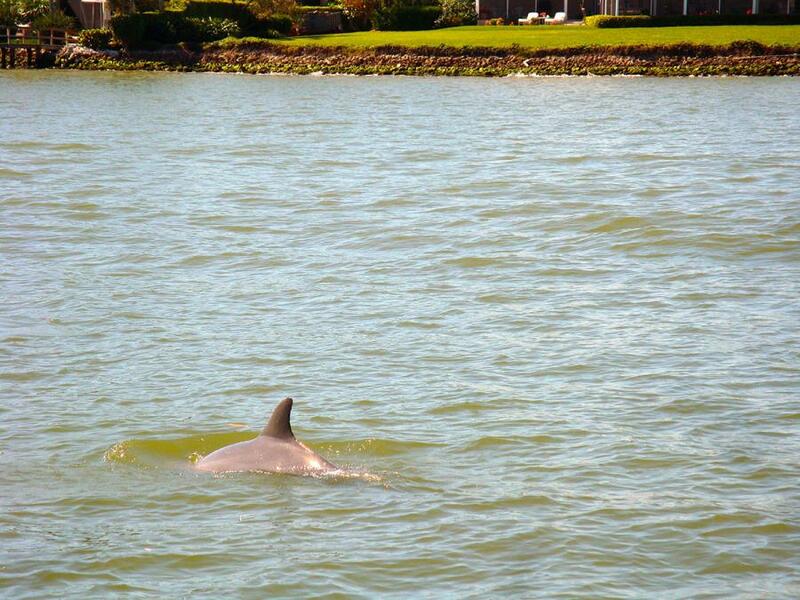 So they are quite active in our inland estuaries. 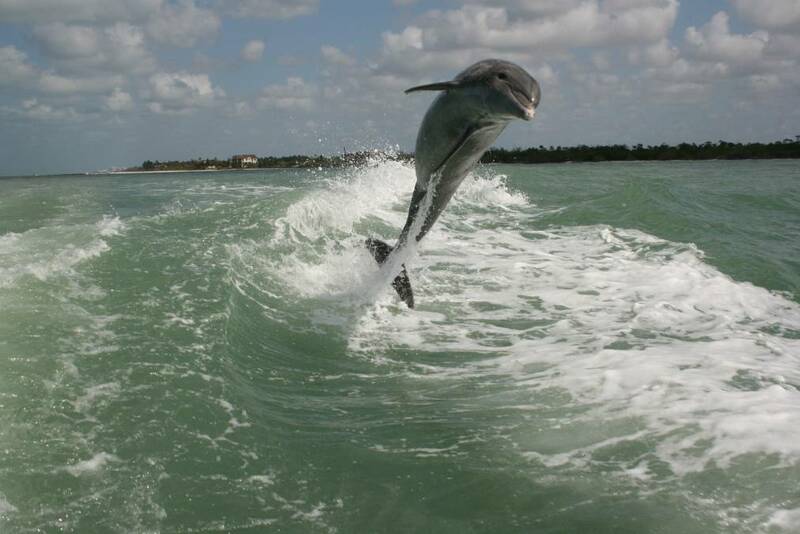 Want to learn even more about these playful creatures? 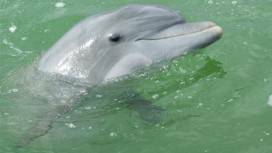 Check out our article about the bottlenose dolphin. Upon exiting Naples Bay, we’ll pass Halderman Creek to the east, Gordon Pass to the left. 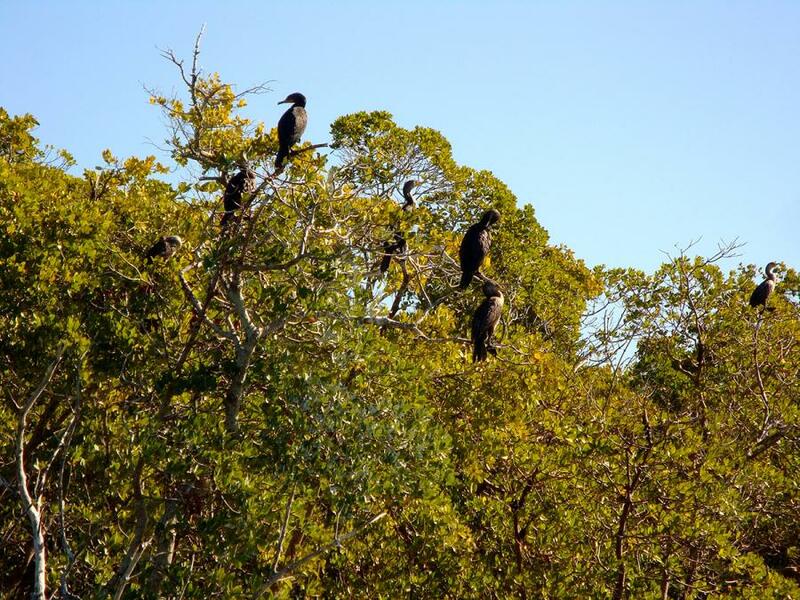 At this point the eco-tour truly begins because you’ll see even more wildlife including Great Blue Herons, Blue Herons, Tri-colored Herons, Ospreys, and Bald Eagles. 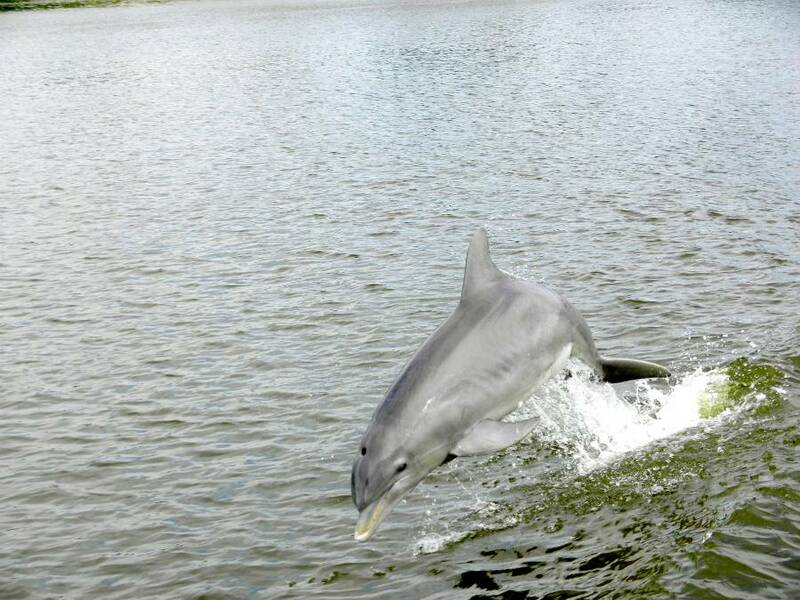 You might even catch a glimpse of an alligator or a manatee! The Gordon River, itself, is a masterpiece of Florida Wildlife with miles of life-sustaining estuaries surrounded by beautiful Mangroves. 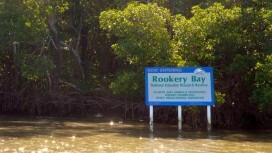 The Naples Explorer ventures even further south, passing Rookery Bay, arriving at Dollar Bay which sits to the east of Keewaydin, a barrier island that tops the 10,000 Island chain. Now it’s time to put your toes in the sand! Mollusks: The most abundant shell found on excursions; species whose skeletons exist on the outside of their bodies as a form of protection. Sand Dollars: Popular on many Florida beaches, washing up on the shore during certain months of the year. Starfish: Technically a predatory animal, not a fish; Starfish are known for their characteristic 5-pointed shape. Sea Urchins: Known for their common appearance as a ball of spines; sea urchin shells are beautiful and can be found in a variety of colors. Horseshoe Crabs: Arthropods that live in shallow ocean waters in soft sand or mud, feeding on mollusks. 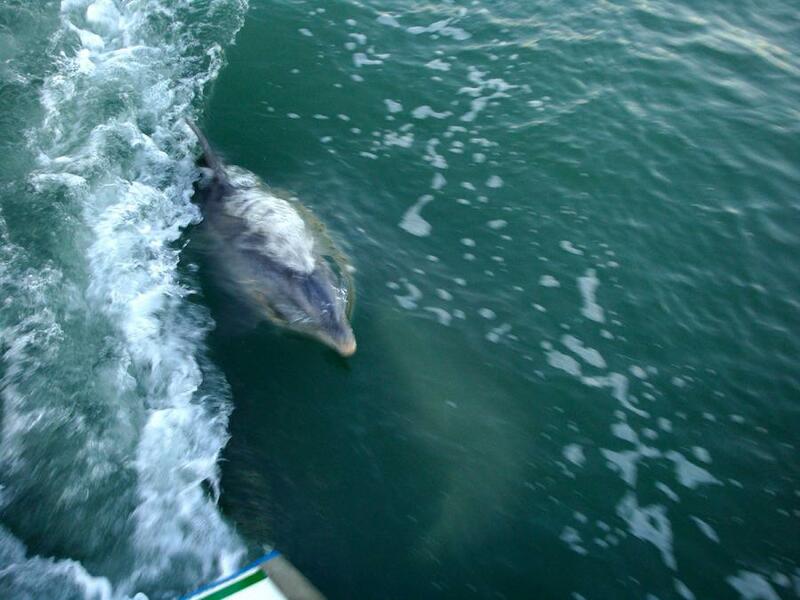 Will we see dolphins on this excursion? As opposed to our 1.5 hour sightseeing tours, you have a better chance of seeing them on this tour. 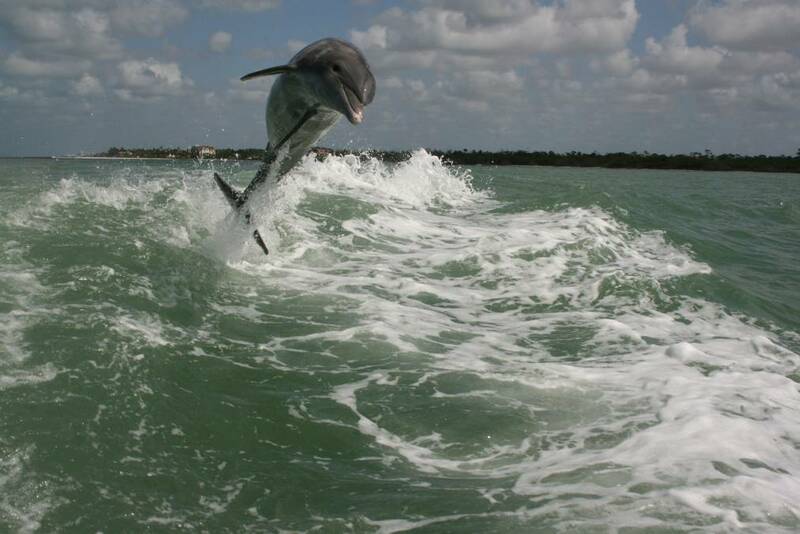 And while it’s very likely that you’ll see dolphins, we cannot give you a 100% guarantee because nature is unpredictable. Actress Samantha Bond once said “It’s one of the oldest theatrical adages: never work with children or animals.” Well, we choose to work with animals in our profession so we are at their mercy, as well as the weather. But rest assured that our captains and mates will do their best to ensure you see them (short of chumming the waters). 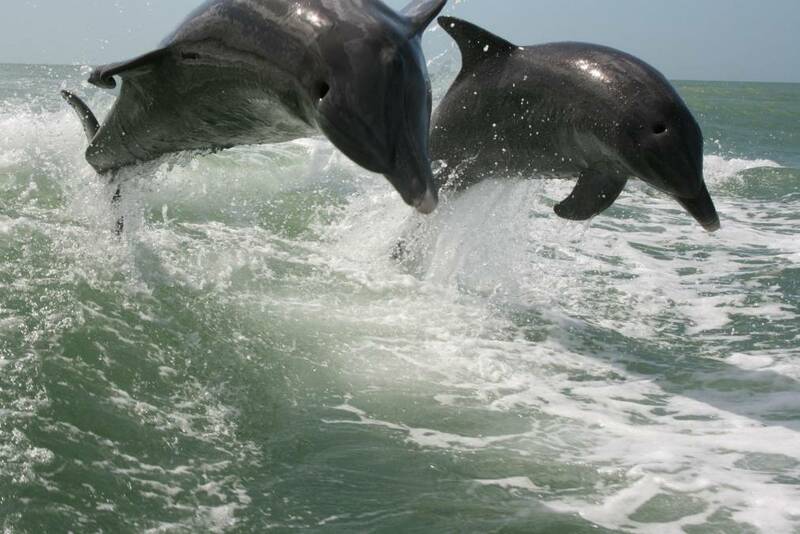 We will take you to the best areas of dolphin activity and alert you as soon as they come into sight. 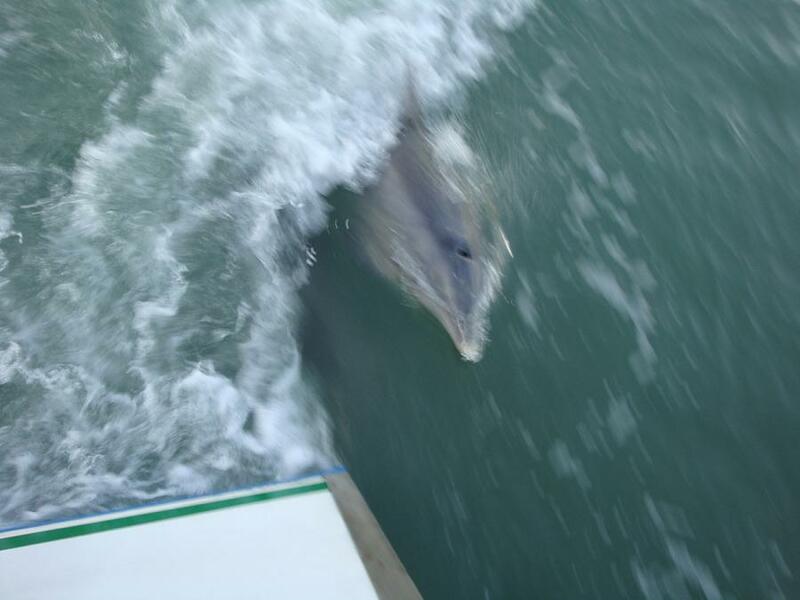 And if you happen to spot one first, by all means share the joy with others on the boat! Seeing as how we are close to the Everglades, are we likely to see alligators? We occasionally see alligators. They’re mainly the ones that flush through our rainy season (August, September, October, and November) when we’ll typically get about 90 inches of rain. Also, when local authorities open up all the weirs, flush out all the canals, and drain those waters because of all the run-off from the roads, we get a lot of alligators that will flush through here. 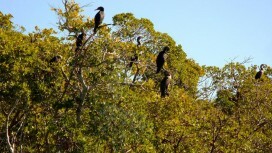 They don’t stay here very long as they make their way out to the everglades. We have crocodiles too. We don’t typically see crocodiles but they are here! Is this eco-tour appropriate for all ages? Truthfully, all age groups like this trip. 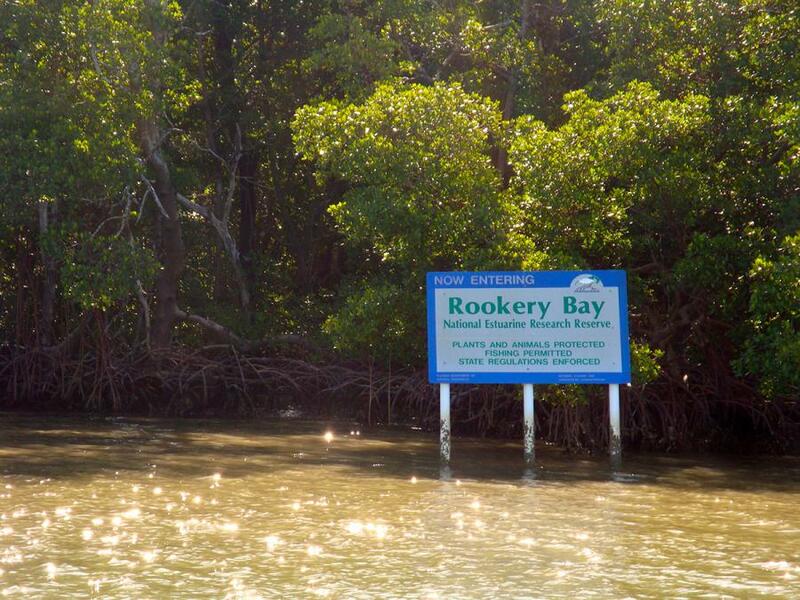 There’s not another mangrove forest in America. This is it! 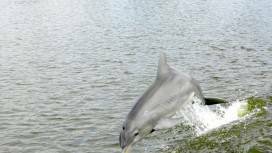 This is one of the only places where you can see dolphins, alligators, manatees, and crocodiles living in the same water. 10,000 islands (our national park) is 22 miles away from here and it runs another 107 miles all the way down to Flamingo Bay, the Florida Straits, and the Florida Keys. There is so much to see and it’s quite enjoyable. With that said you’ll probably enjoy it the most if you are mobile since we walk the beaches of Keewaydin Island. Parents bringing small children should consider the 3 hour tour. 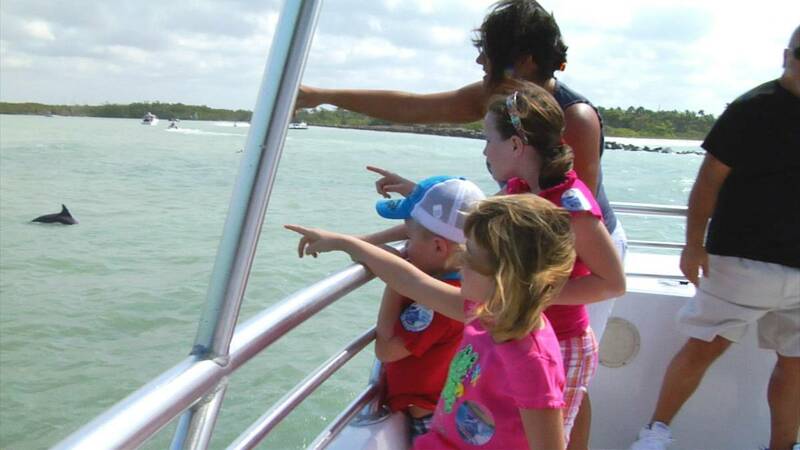 Naples Explorer sets sail 7 days a week. Departure times are at 9am or 1pm but they vary every other day. Call 995-6959 or book your reservation online.